Should I Travel to Costa Rica? You’ve probably heard about the abundant wildlife, miles of rainforests and grand beaches of Costa Rica, but how much do you really know about this small Central American country? Maybe Costa Rica has piqued your interest recently? Maybe not? Only you know the answer. 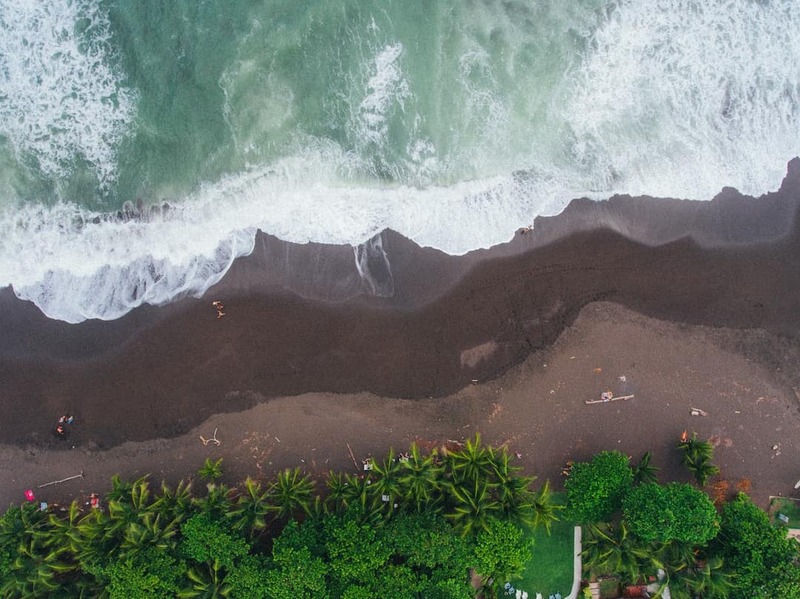 Either way, now that we have your attention and you’re already reading this article, it’s worth the next 5 minutes of your life to keep reading and find out if Costa Rica is the destination for you. You might just surprise yourself. What type of traveller is Costa Rica suited for? Backpackers. Solo travellers. Large groups. Couples. The list of travellers that Costa Rica is suited for could go on forever but alas, we’re going to try and narrow it down for you and determine if this is the right destination for you. While Costa Rica might be pitched as an eco-friendly, animal-filled nature haven, the country is by no means targeted to just one type of traveller. Most importantly, it needs to be noted that Costa Rica is a safe destination for travellers as long as the usual precautions are adhered to. This includes being aware when travelling solo and keeping an eye on your personal belongings. Being such a tourist and visitor friendly country, Costa Rica offers an array of activities to keep you entertained and many Costa Ricans speak English. Defined as a tropical country, the best time to visit would be between December and April when there is a lower chance of rainfall. During the months of September to October, the chance of rainfall will be higher but is still a great time to visit. You can enjoy Costa Rica on a shoestring budget, or live like a King and splash your cash on accommodation, experiences and dine at the top restaurants depending on your travel preferences. 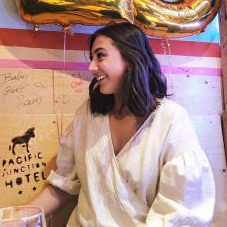 For travellers looking to spend on the budget side of things, a dorm bed at a hostel or guest houses can be found for $7-15 USD per night and cheap eats for $4-8 USD per meal. If you’re looking to spend a higher amount, you could find boutique accommodation for $90-120 USD per night depending on the type of experience you’re looking for. As for food, you can easily spend $30+ USD per meal at one of the many high-end restaurants. 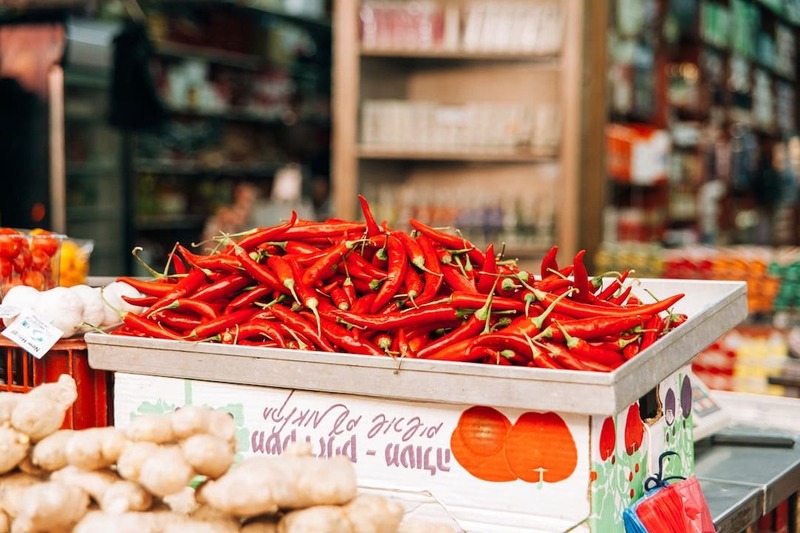 Haggling and bartering are uncommon in Costa Rica, so if you see a price for an item, it is unlikely that the price will change (no matter how kindly you ask). You might enjoy some luck when negotiating at some outdoor markets but approach with respect and caution. See Also: Belize vs Costa Rica: Where Should You Travel First? Food, glorious food. These are the dishes you need to sample in Costa Rica. Make sure you include time to sample local cuisine at the many sodas (a family-run restaurant) for the most authentic experience. Gallo Pinto: In short, rice and beans.This breakfast dish shares both Costa Rican and Nicaraguan origins and features rice and beans mixed with spice, cilantro and peppers. Sopa Negra: A black bean soup with a kick! Often accompanied by local spices and tabasco sauce, this dish can be enjoyed by vegetarians. Chifrijo: Twice-fried pork bits, black beans and salsa creates a simple but filling dish when you’re after a quick bite at the bar. Ceviche: A staple feature of Central and South American cuisine, ceviche in Costa Rica is prepared with a local twist. Among many other reasons to visit Costa Rica, these are just a few of the diverse and exciting experiences that you can enjoy in Costa Rica. Incredible waves are calling for you in in Costa Rica. Beginners can take refuge in the gentle waves at the beaches of Playa Tamarindo (the most popular, beginner friendly beach) and those looking for a challenge will revel in the offerings at Little Hawaii reef at Playa Avellanas, and is unofficially reserved for the experts. Other honourable mentions include the likes of Playa Hermosa, Playa Santa Teresa and Salsa Brava. While the waves can be fast (albeit, sometimes dangerous) thanks to that notorious Caribbean swell, however, there are enough beaches to keep all levels of surfers satisfied. Listen up, animal lovers! Costa Rica knows how to put on a wildlife display like you wouldn’t believe. Before you start researching what animal to see when in Costa Rica, you need to know where to go. The Manuel Antonio National Park is one of the smaller national parks, but possibly one of the most worthwhile and plays host to 109 species of mammals and 184 of birds. 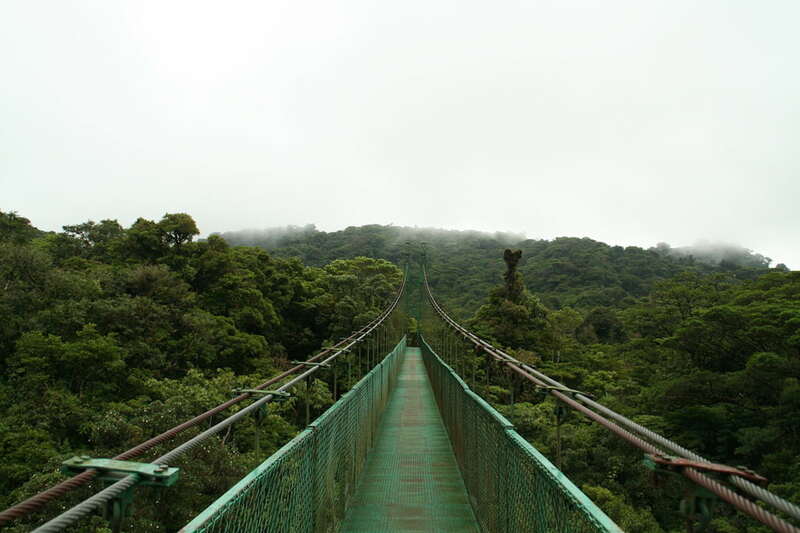 Next on the list of national parks that you need to make time for is the Monteverde Cloud Forest Reserve. While the name might not be familiar to some, there’s a high chance that you’ve spotted the iconic suspended bridge across your social media channels. This dramatic crossing sits 300 feet (100 meters) above the ground and has spectacular views of the canopy along with many ground-level trails for fauna sightings. Also, don’t forget about Corcovado National Park which boasts 13 varied ecosystems and the chance to spot jaguars, macaws, eagles and various monkeys to name a few. Start your bird watching experience at Rancho Naturalista which is known as the premier birdwatching lodge in Costa Rica. Another one to add to the list includes Tortuguero National Park which is known for its turtle nesting but also its impressive variety of bird species and migratory birds. It goes without saying that the best way to explore Costa Rica is by foot. And by that, we mean grab your hiking boots and get moving! By travelling across the many trails on foot allows the opportunity for you to become as close to nature as possible (while ensuring there is as little disruption to the natural ecosystems as possible). Aside from providing some of the most oxygen-rich air you could find while surrounded by jungles and canopies, the overall experience itself is unbeatable. 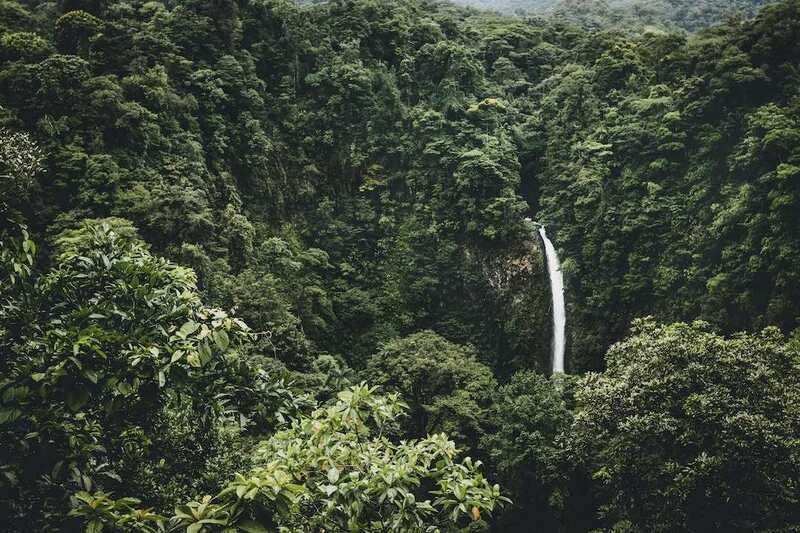 Some of the most scenic places you need to visit include the 8-kilometre hike at Rio Celeste to the Tenorio Volcano hike, the half-day Gandoca-Manzanillo hike and the strenuous Cerro Chirripó Grande hike for unparalleled views. While Costa Rica might offer blissful or serene moments for you to go birdwatching or animal spotting, there is also plenty of experiences to get your heart racing. With no shortage of white water for you to go white water rafting in, it only makes sense to grab your lifejacket and paddle then get moving! Notable sights include the Pacuare River, the La Fortuna rapids and the Rio Toro (otherwise known as the Bull River) among many. Or, you could simply take it easy and go kayaking. If you missed the above mentions and references the variety of animals you can find in Costa Rica, we’re about to break it down for you. In fact, Costa Rica is home to over 500,000 animal species and supports nearly 4% of the total species estimated worldwide. These are just a few of the most interesting that you might stumble across. Tapir: Resembling a creature that looks like a pig, but with a small trunk, this herbivore can be found in forests across the country. Red-eyed tree frog: Don’t be frightened by the scarlet-eyed creature. While they might be a little harder to spot (as they are nocturnal creatures and sleep beneath the leaves), this animal is one of the more notable amphibians found in Costa Rica. 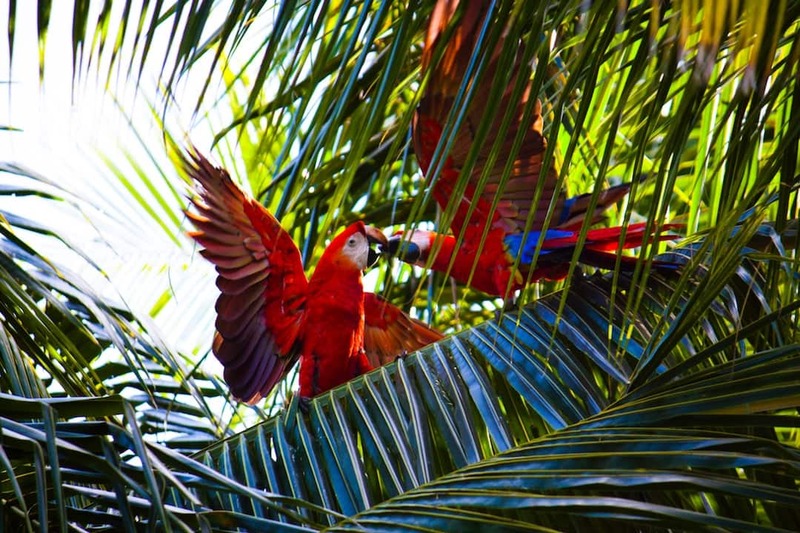 Scarlet Macaw: Don’t miss an opportunity to search for the vibrant red, blue and yellow feathers of the scarlet macaw. 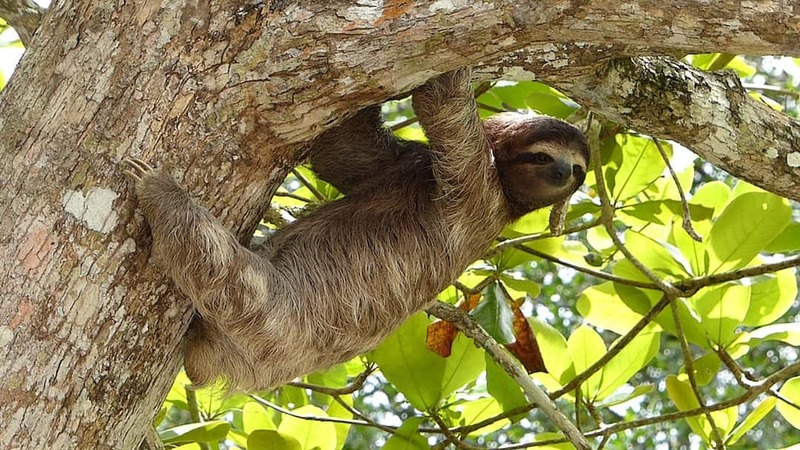 Three-toed sloth: The world’s slowest animal can be found lingering in the canopy literally hanging from the trees thanks to their powerful grip. Coati: Closely related to the racoon, the coati exhibits a monkey-like tail, and enjoys snacking and foraging across the forest floor during the day. Ocelot: Not to be confused with a leopard or a smaller domestic cat, an ocelot can be found climbing trees in Costa Rica. Did we answer the question for you, “Should I visit Costa Rica?” Comment below and tell us if you will be visiting Costa Rica this year.